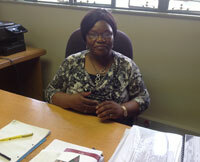 Dr Theresa Moyo says there are increasing signs that Africa is taking gender equity seriously. May 20 2013 (IPS) - History was made last year July when the African Union Commission elected Nkosazana Dlamini-Zuma as its chairperson, making her the first woman to lead the organisation. Now as the continent gears-up to celebrate the 50th anniversary of the 1963 formation of the AU, then known as the Organisation of African Unity, IPS Africa spoke to a few leading women and gender activists to find out if women have equal status with men on the continent. This is quite interesting but some of the audio is not very clear.